Climate change is a subject that must be addressed as soon as possible, according to climate experts. Every year, the evidence of global warming becomes stronger. The sun has kept our species alive for millennia with warmth, light, and food. However, utilizing this energy to generate electricity is a fairly recent development. Experts believe the quantity of energy reaching the Earth’s surface every hour would meet the world’s modern energy demands for an entire year. Solar technology is constantly being improved and refined. But how will solar power be of benefit in our lives and those of the next generations worldwide? While the most urgent need for solar is due to environmental concerns, financial advantages are a huge selling point as well. Solar currently offers several financial and other assets that will become even more significant over time. When solar is installed, we are not at the mercy of the national power grid and power outages and we can become autonomous producers of our own power. In fact, in some cases, excess electricity can be sold back to the power company or distributed to neighbors. 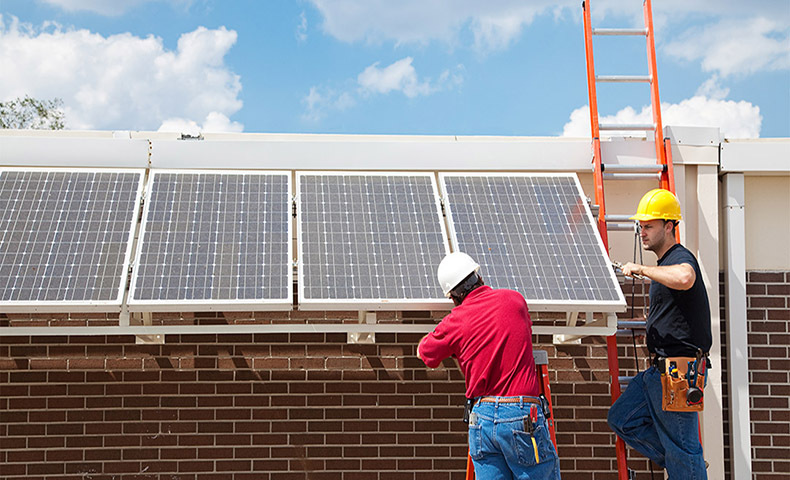 While installing solar initially carries costs, we will save on utility bills from the first month and in many instances, homes and businesses will be able to create all their power from their solar installations. In some countries, solar producers can feed energy into the grid and get credits. Another advantage is that solar increases the value of our properties and the maintenance costs are very low. The most obvious benefits of solar energy, are that is that it is abundant, sustainable, safe, and reliable. Even in more cloudy countries such as the United Kingdom, there is sufficient energy in the rays that strike the surface of the planet to generate electricity. However, sunny locations such as California Arizona and Nevada, are ideal for solar since the sun shines relentlessly for months at a time. Just as individual households or businesses can gain independence in relation to the power supply, communities and towns can do the same with entire communities living off-grid and being self-sufficient. In a world of inadequate and strained resources, this is a huge advantage… and one that will be gradually important in the future. Small, rural, and or hard to reach communities are greatly benefited from solar power because big energy suppliers have to build a massive infrastructure to support fossil fuel production. With solar, this is no longer an effect. The fact that solar systems are now available in various sizes, shapes, and thicknesses also makes them far more flexible as far as applications and where they can be used. New applications and technologies are constantly being invented and some exciting new schemes and materials are currently being developed. Solar power is here to stay, and the sooner you explore how much you can save, the sooner you can enjoy the benefits of residential solar power. In order to make any substantial change in the planet's climate, we need millions of home and business owners to take the solar plunge. We must cease igniting fossil fuels as soon as possible in order to approach the climate goals set by several government entities. Imagine how you will feel generating your own power and being free of the energy grid. When others have power outages, you will have access to power like any other time. Please visit our solar blog to find out more about the benefits of going solar. Looking for solar panels? Sign up now and we will find them for you.